Stormwater is a huge threat to our Seattle Waters. There are thousands of manmade outfalls, like the stormdrain where you live that pour billions of gallons of polluted water directly into Lake Union and the nearby waters. 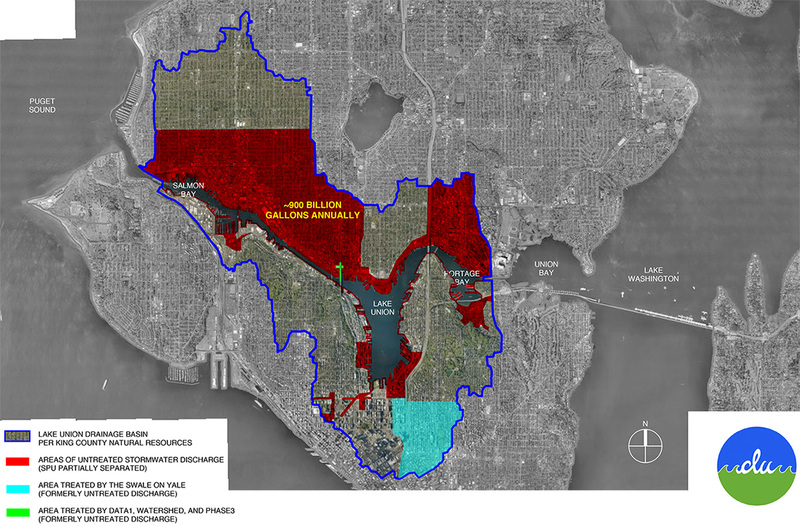 This problem is only getting worse with the rapid increase development in the surrounding areas of Lake Union. Every time it rains (which in Seattle is a lot) toxic chemicals, grease, oil, and other pollutants are washed into the Sound. Downstream of the stormdrains large areas of are covered in toxic sludge, leaving nothing left alive in the area. The pollutants in these billions of gallons of stormwater make the Lake Union a toxic soup, threatening iconic wildlife, like salmon, crawfish and birds. It is up to us all to do our part to minimize the impact. Simple things like getting an oil leak fixed on your car, and always scooping your dog’s poo, help keep our water clean.